The Washburn WD100DL Dreadnought Mahogany Acoustic Guitar is a worthy guitar for both practice and performance. 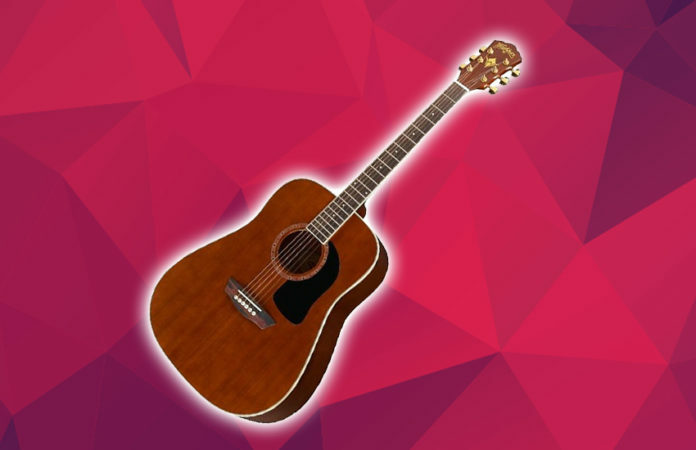 Whether you are a beginner who wants to have a decent guitar to practice at home, or take it out with friends out to a small event, then this guitar might be for you. 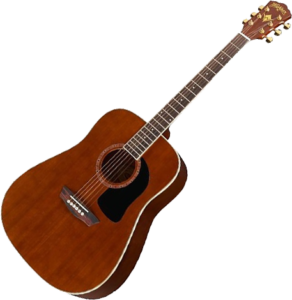 The Washburn WD100DL is a 6 stringed acoustic guitar made with a beautiful mahogany finish for both its body and top with a gloss finish. When mahogany is used as a guitar soundboard, it creates a warm, rich tone. 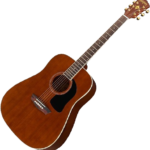 Mahogany is also used to balance out the powerful low and high-end because of its dreadnought body shape. It comes with a vintage style headstock (for that classy edge) as well as a die-cast tuner and a gig bag for an amazing value! The Washburn WD100DL creates an amazing value for the quality it delivers. It creates a consistent sound quality and stays in tune most of the time. It literally “feels” good to play because you can feel the music vibration travels down right down to your fingertips. It is also incredibly fun to play because of how easy it is use to for beginners to pick up as well as the reverberating sound it brings. However, this guitar is not completely perfect. Guitarists have reported that when using this guitar, it sometimes creates a flat sound (although a bit rarely) and may require constant tuning. This guitar is also designed for fingerpicking, yet doesn’t “sound right” when you play it like that so it’s advisable to use a pick when you play with this guitar to get the sound you are looking for. Considering that this guitar costs less than $200, we think the Washburn WD100DL is great for the aspiring musician who either wants to play in front of their friends and family, or take it out onto a small event. Despite some minor flaws, we still think that this guitar is still worthy of being played for beginners. And you will finally also get the prestige of owning a “Washburn” quality guitar.